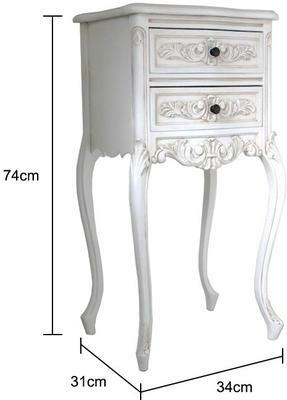 This Tall White Bedside Cabinet is a unique and delightful touch to your living room or bedroom. 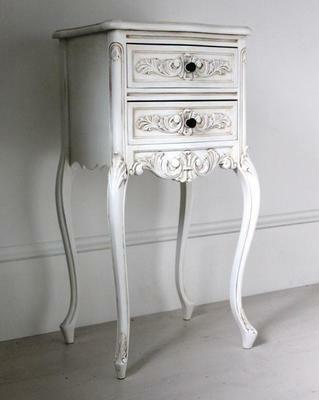 Designed with a classical French flair, the cabinet features a boxy style body standing on top of long, curvy cabriole-style legs. The cabinet is gorgeously handmade using mahogany wood. 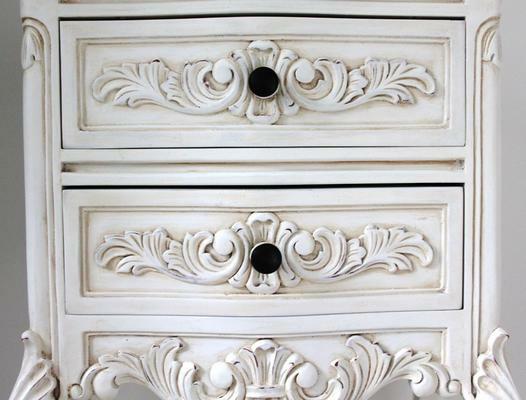 It's been handpainted and carved with ornate details to give off a unique touch. 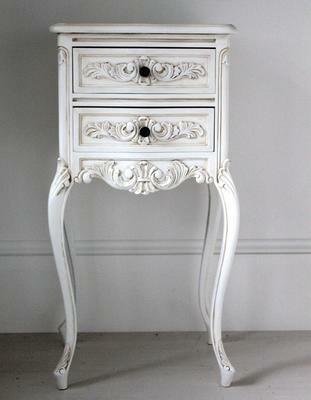 Two drawers can be found at the front with ornate handles right at the centre of each. This is great for holding personal items or other small trinkets. This lovely piece can be used as a lamp or vase stand in your living room. It would also make for a great accent inside your bedroom.